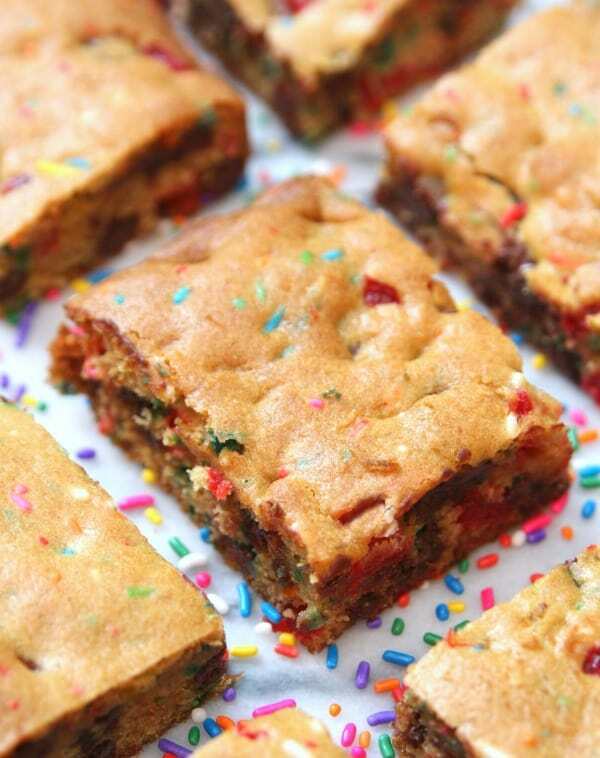 Banana Split Bars - A dessert bar with all the flavors of a banana split! These Banana Split Bars combine all the flavors of a delicious banana split without the ice cream. A delicious dessert recipe the entire family will love! 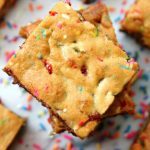 I started with banana pudding cookie bars and added chocolate chips, sprinkles, and chopped up cherries. How could these not taste amazing?! Preheat oven to 350 degrees. Spray 9 x 13 baking dish with cooking spray. In medium bowl, mix together flour and baking powder. Set aside. In large mixing bowl, cream together the butter, sugar, and brown sugar. Add in pudding mix, eggs, and vanilla. Mix until well combined. Gradually add in flour mixture and continue to mix. 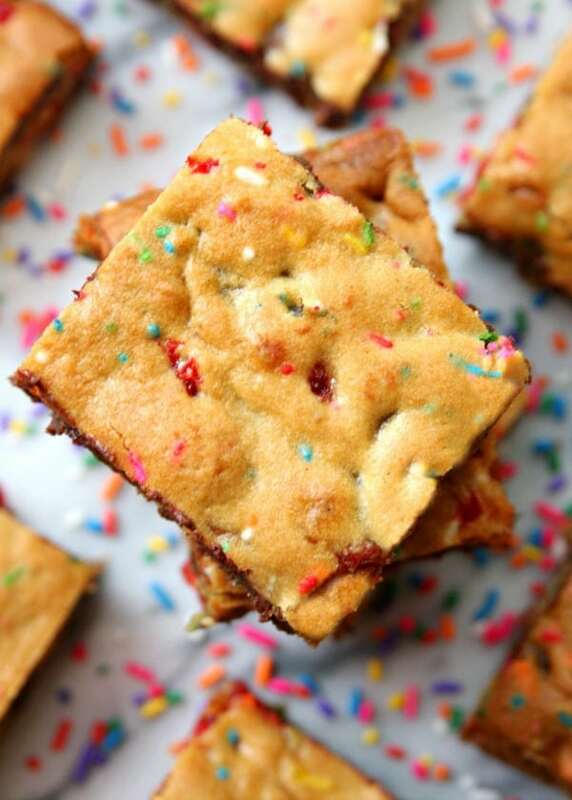 Fold in chocolate chips, sprinkles, and cherries. Spread batter in baking dish and bake for 20-25 minutes or until bars are lightly brown. Let cool before cutting into bars. I was kind of nervous at first when I started making this recipe and trust me when I say some recipes I try for my blog do not turn out but these taste even better than than I thought they would. The banana pudding isn’t overpowering but helps make the bars moist and full of flavor. And everything taste better with sprinkles and cherries. I’ve also decided that making dessert bars is 100% easier than making cookies. It’s so much faster to make the dough and just spread it in a baking dish. And what do you do when you make a delicious dessert during the last week of school? 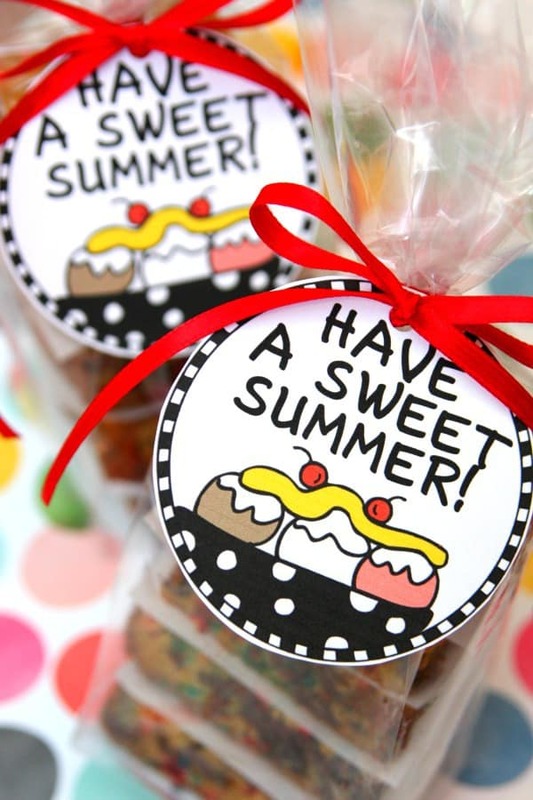 You make a batch for your son’s favorite teachers. 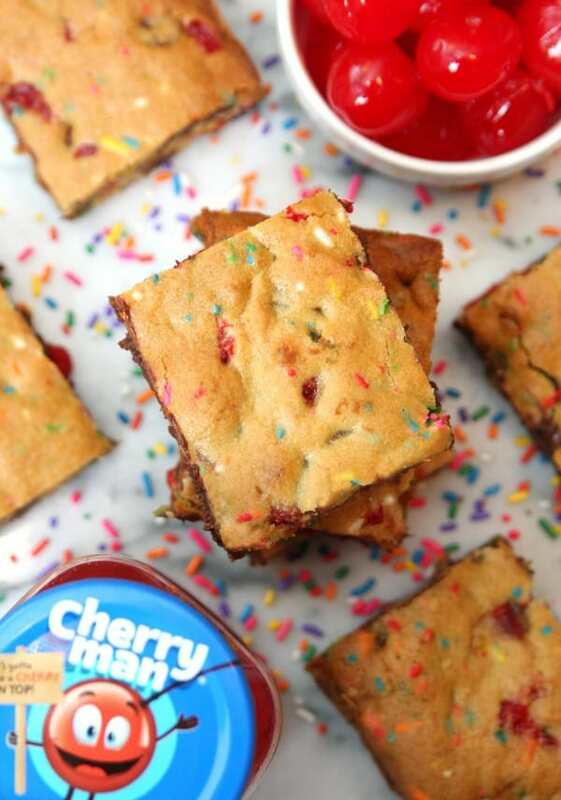 Ok, now that you’re all craving banana splits, make these Banana Split Bars and start your summer off with a tasty treat. Have a cherry good day! 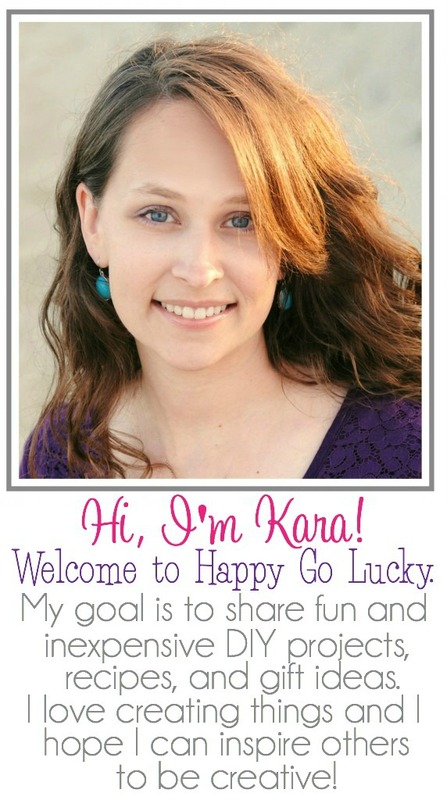 I’m an official member of the Laura Kelly Design Team. Products or compensation may have been received to support this post. The opinions, designs, images and concepts are my own. Welcome to Yum Goggle! We are following you on all your social media and hope you will follow us back. We will do our best to tag you each time we promote your posts – Kelli at YG!